Mario Draghi, president of the European Central Bank (ECB), has asked policymakers to focus their crisis support on solvent Eurozone banks. “The ECB will continue lending to solvent banks and will keep the liquidity lines active and alive with solvent banks,” Draghi said. Despite the ECB’s efforts, Draghi admits that the setup of the 17-country euro currency union may be unsustainable. 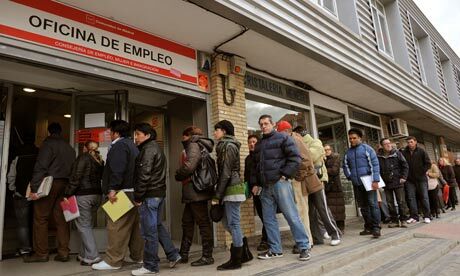 According to Draghi, the financial crisis proved the inadequacy of the financial and economic framework set up for the Eurozone. “That configuration that we had with us by and large for ten years which was considered sustainable, I should add, in a perhaps myopic way, has been shown to be unsustainable unless further steps are taken,” he said. Draghi said the next step “is for our leaders to clarify what is the vision…what is the euro going to look like a certain number of years from now. The sooner this has been specified, the better it is.” In 1989, European Commission President Jacques Delors issued a breakthrough report that charted the initial path to the creation and launch of the Euro 10 years later and detailed goals. “The same thing should be done now,” Draghi said. He compared Europe’s efforts to those of someone crossing a river in thick fog while struggling against a strong current. “He or she continues fighting but does not see the other side because it is foggy. What we are asking is, to dispel this fog,” he said. “Can the ECB fill the vacuum of lack of action by national governments on fiscal growth? The answer is no,” Draghi told the European Parliament. Germany is loath to risk more of its taxpayers’ money to prop up Eurozone partners and has rejected any joint deposit guarantee. “The financial crisis has heightened risk aversion in a dramatic way,” Draghi said. 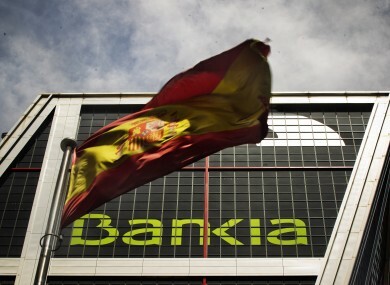 “I urge all governments to keep this in mind, because it is better to err by too much in the very beginning rather than by too little,” he said, referring to the failure of regulators to correctly assess the needs of failed Franco-Belgian bank Dexia and Spain’s Bankia. Bank of Italy governor Ignazio Visco said political inertia and bad economic decisions had put “the entire European edifice” at risk and only a clear path to political union could save the Euro. “There are now growing doubts among international investors about governments’ cohesion in guiding the reform of European governance and even their ability to ensure the survival of the single currency,” Visco said. As the stock market moved between negative and positive territory on the last day of January, 2012, the Dow Jones Industrial Average was nevertheless poised to close with their biggest January gain in 15 years – despite closing down a few points for the day. In fact, it could be the best January for Standard & Poor’s (S&P) and Dow since 1997 and since 2001 for the Nasdaq. “Longer-term investors should not be fooled by what appear to be attractive valuations for financials,” said Brian Belski, Oppenheimer & Co.’s chief investment strategist. Any investor should look three to five years into the future and invest less money in these stocks than their S&P 500 weight would suggest because they account for roughly 14 percent of the index’s value. The financial index was recently valued at 12.4 times earnings, which is about twice as high as it was two years ago. “Most of these companies operate in a ‘whole new world’ of increased scrutiny and regulation,” Belski wrote, noting that more restrictive capital requirements, imposed as part of that shift, will hurt profitability. 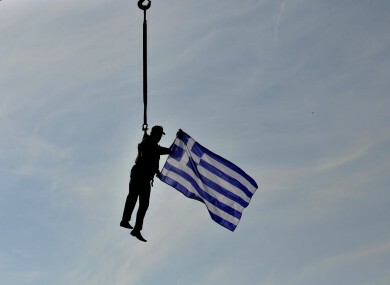 The European debt crisis is a major culprit in the market’s volatility. Confidence that American markets can remain relatively unaffected by Europe’s difficulties has fueled gains in 2012. Money managers, some of whom missed the upward move, seem to be willing to buy on day-to-day declines. “The action that we’ve seen today is very similar to what we’ve seen throughout most of the year so far,” said Ryan Larson, head of equity trading at RBC Global Asset Management. “We see the resilience showing in U.S. markets and I think that’s a theme that we’ve seen throughout 2012. The U.S. appears to be slowly, slowly in the early stages of a decoupling from the Eurozone,” he said. “Most market participants will raise their glasses to usher out what has proved to be a decent January for performance, data and sentiment,” said Jim Reid, a global strategist at Deutsche Bank AG. Whoops! Someone has a red face. 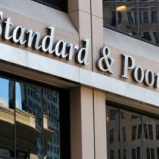 France’s credit ratings have not been downgraded by Standard & Poor’s (S&P) and apparently resulted from an accidental transmission of a message that it had downgraded the nation’s credit. S&P’s error roiled global equity, bond, currency and commodity markets when it sent and then corrected the erroneous message. S&P’s error spooked investors already apprehensive over Europe’s debt crisis, feeding concerns that the continent’s debt problems had engulfed the region’s second-largest economy. It contributed to the worst day for French government bonds since before the euro debuted in 1999. As MarketWatch’s Laura Mandaro sums it up, the computer did it.